Not Me. Us… We are the revolution. It was never one man. It will still take each of us. Join the San Francisco Berniecrats. Check out our events calendar for our next meeting! 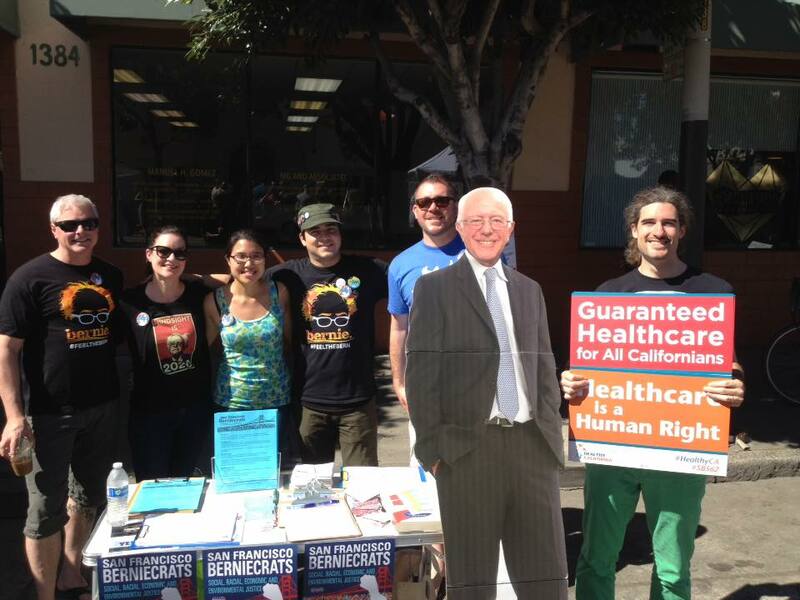 Sign up to Join the SF Berniecrats here! The San Francisco Berniecrats is a not-for-profit volunteer-run organization aimed at furthering the goals of Bernie Sanders’ 2016 presidential campaign platform. Its purpose is to create political change based on progressive ideals, and welcomes anyone who shares these goals, regardless of party affiliation or the lack of it. We operate “democratically”, meaning that everyone has an equal voice in our group. This club is based in the city of San Francisco and welcomes others to organize local chapters across the US. We are a local affiliate of the national Our Revolution organization. 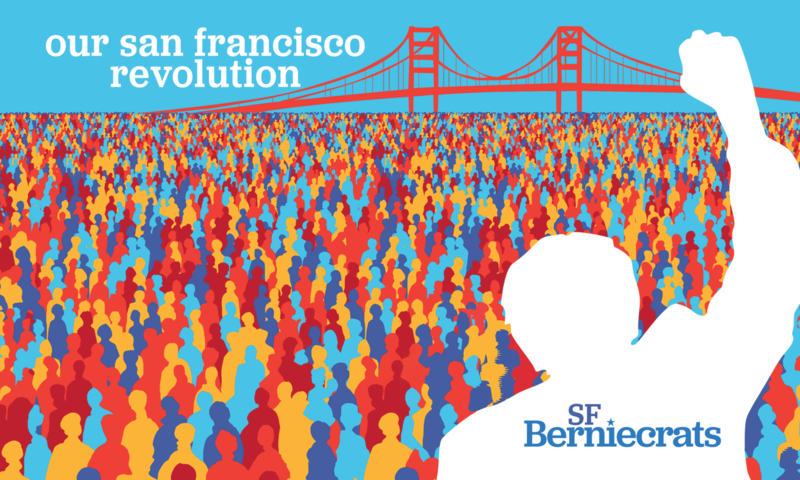 Join the SF Berniecrats ! San Francisco Berniecrats, FPPC # 1391193. Financial Disclosures at SFethics.org.